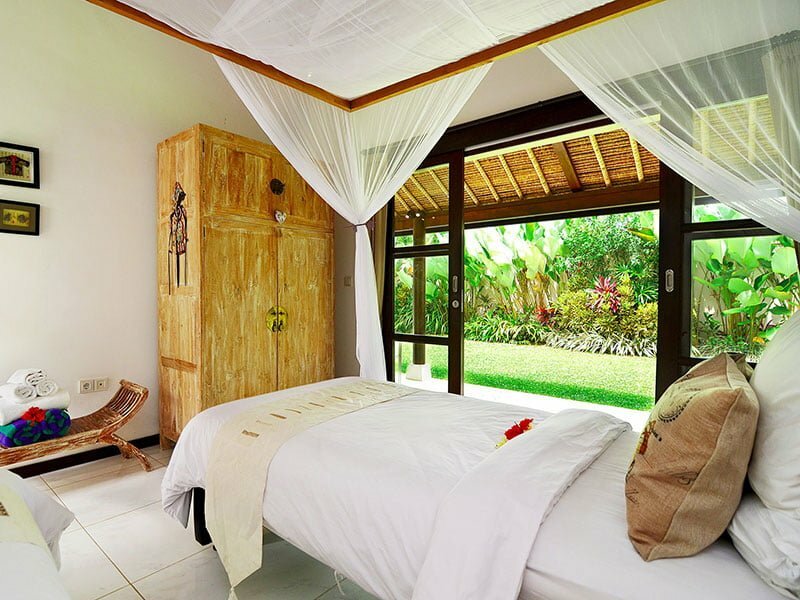 Located in the tranquil Pejeng village in Ubud, the Vila Candi Kecil is an exclusive 4-ensuite bedroom with a spacious alfresco entertainment room, and sliding glass windows and doors that usher you to the establishment. 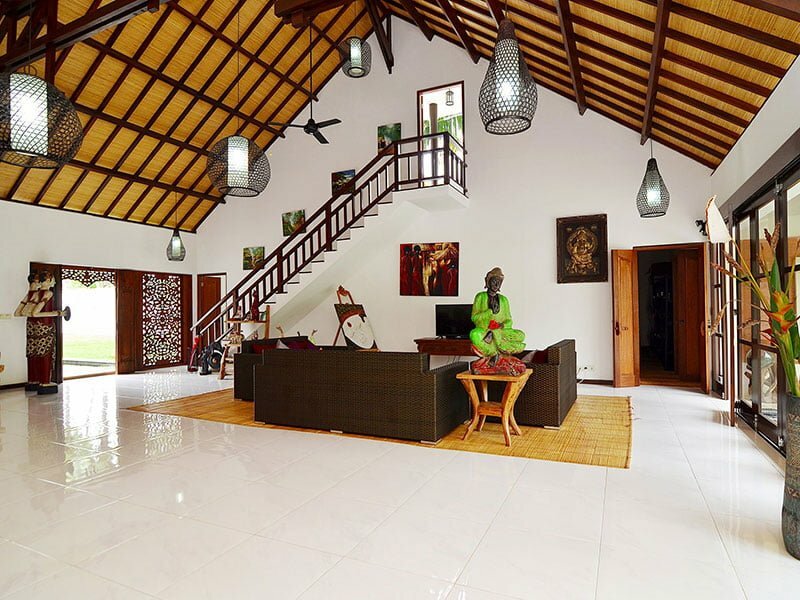 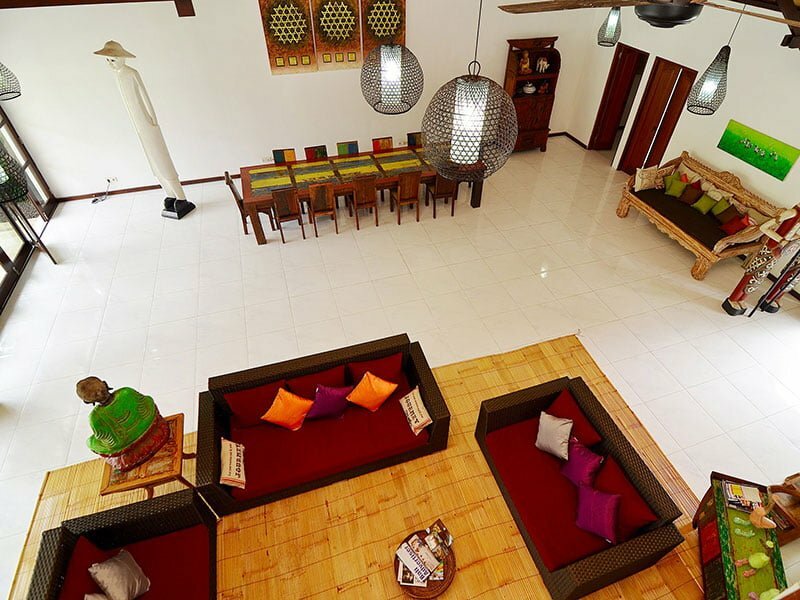 With breezy palm trees, alang-alang thatched roofs, as well as spacious rooms that are stacked with an assortment of tall sculptures; this villa is an ideal emblem of ethnically rich and contemporary in perfect unison. 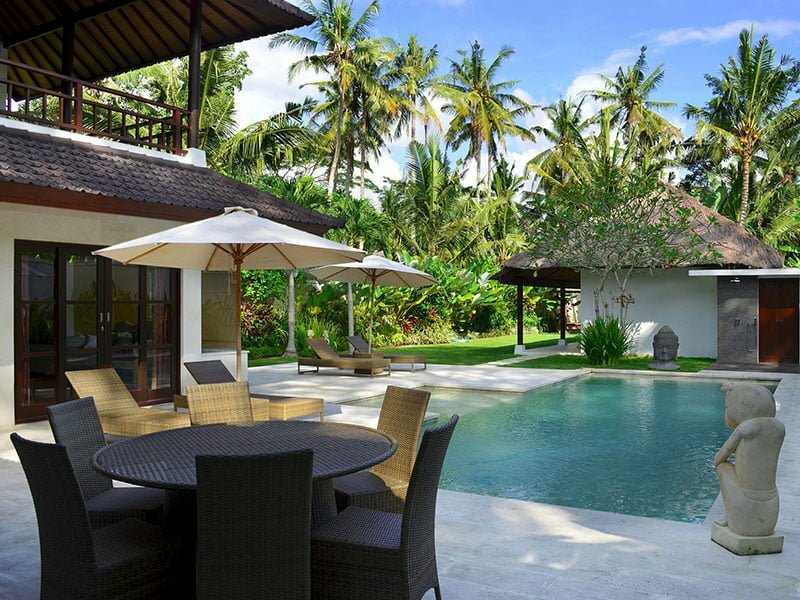 Its strategic location opens you up to a vast array of allures and attractions most notably, Goa Gajah, a renowned UNESCO World Heritage Site where you can view intricate carvings of cultural artifacts and menacing creatures, as well as world-class eateries such as the Cascades Restaurant. 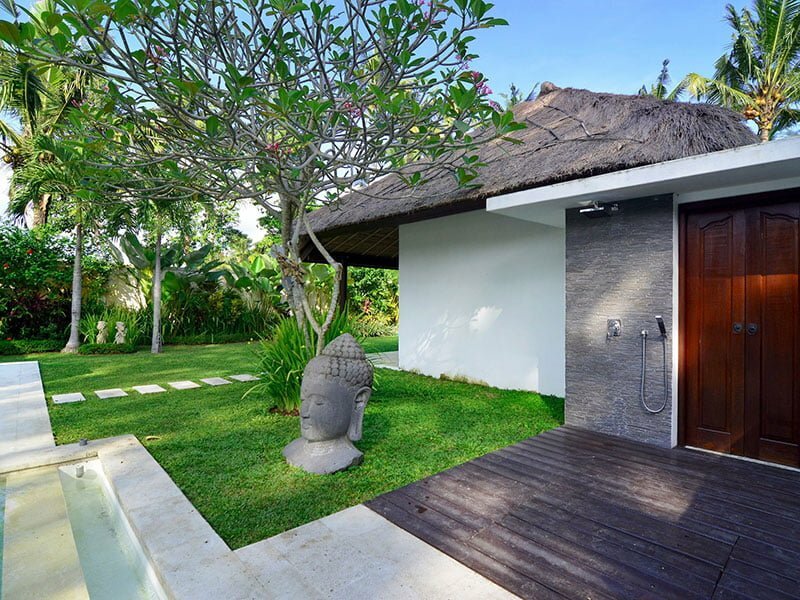 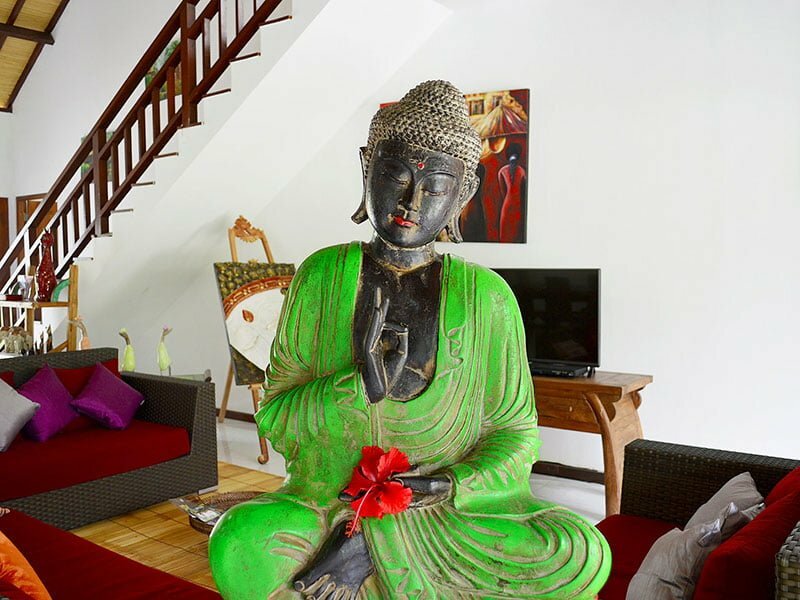 Moreover, you can also treat yourself to private yoga sessions at the Intuitive Flow not to mention a trip to the nearby Tanah Lot Temple to enjoy the traditional Balinese Kecak dance. 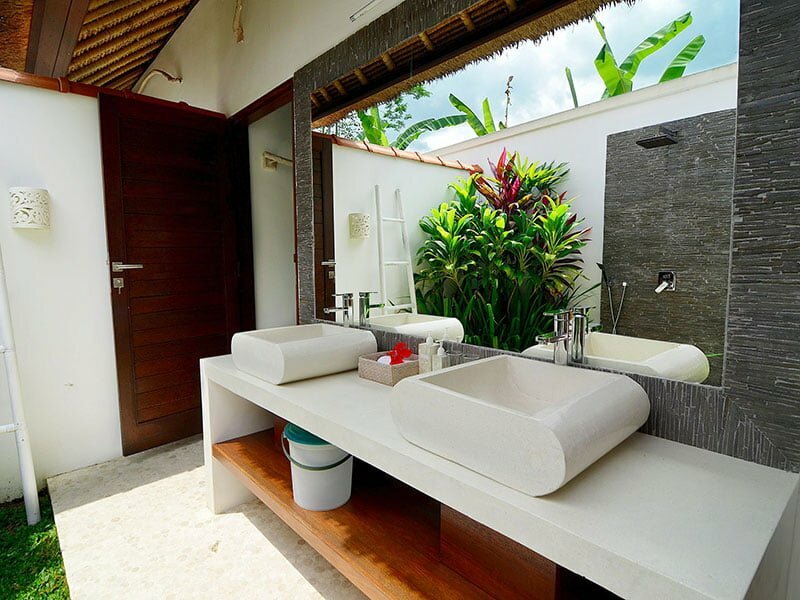 How about that for an itinerary? 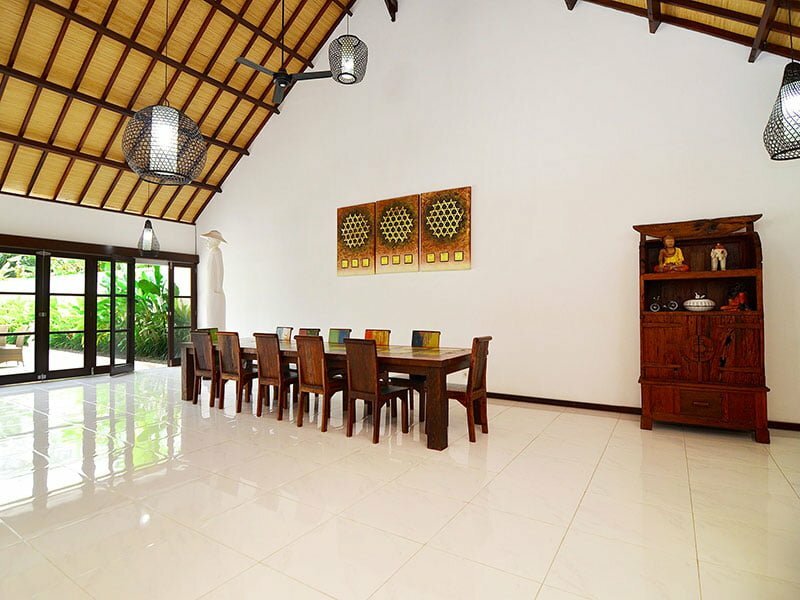 Within the central pavilion, the formal dining space, as well as the living room, is situated on a spacious ground floor. 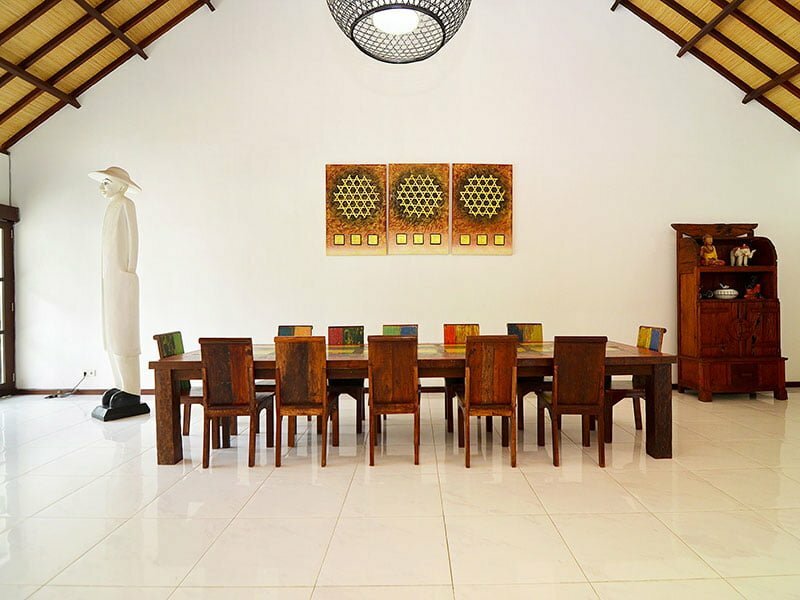 The 12-seater dining table comprises exclusively painted wooden chairs not to mention a great man-sculpture in a warmly lit setting. 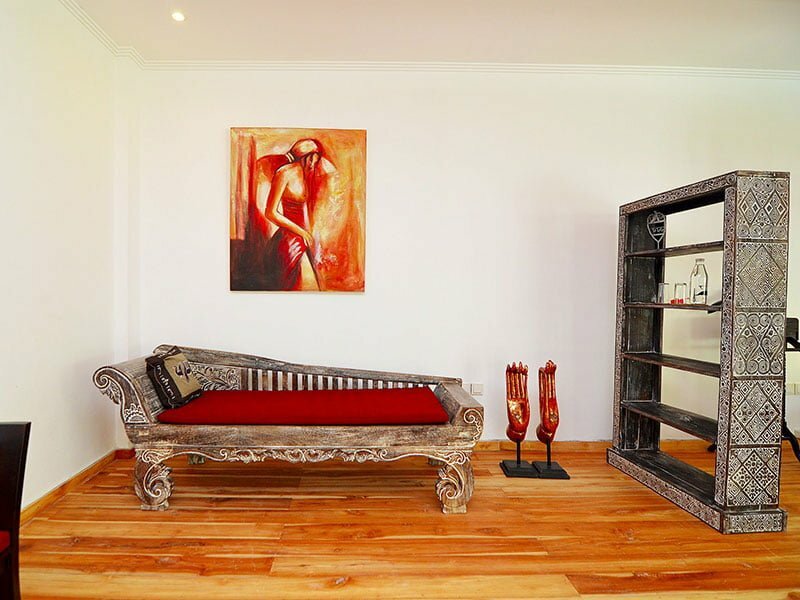 As for the living room, it features three distinct sofas that enclose a coffee table, and wall decked out in paintings. 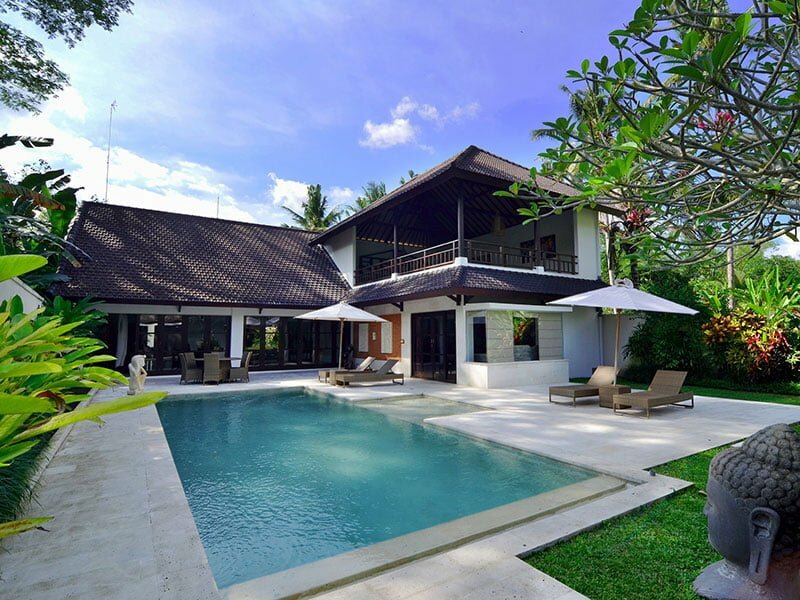 With its unique glass doors, you will gladly delight in the scenic views of the grand private pool. 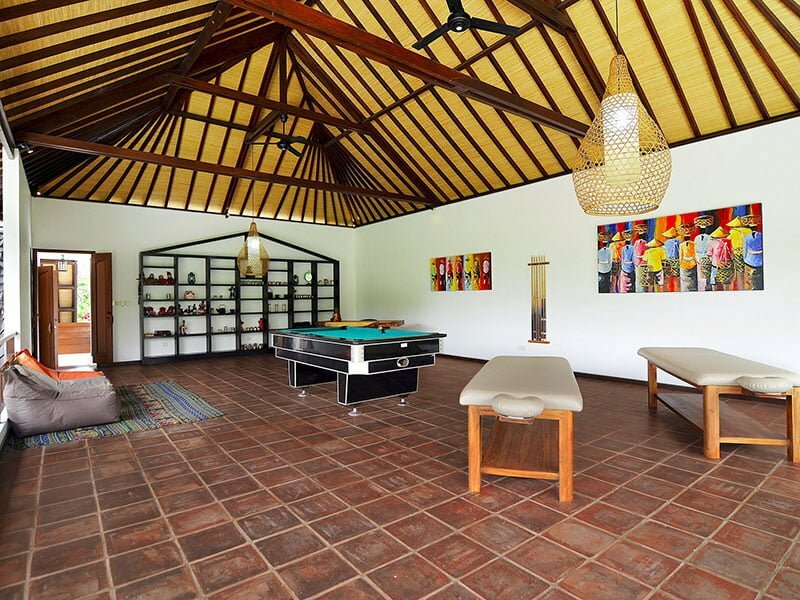 This villa also includes an entertainment room that comprises massage beds (2) for when you need in-house sessions, beanbags, as well as a billiard table. 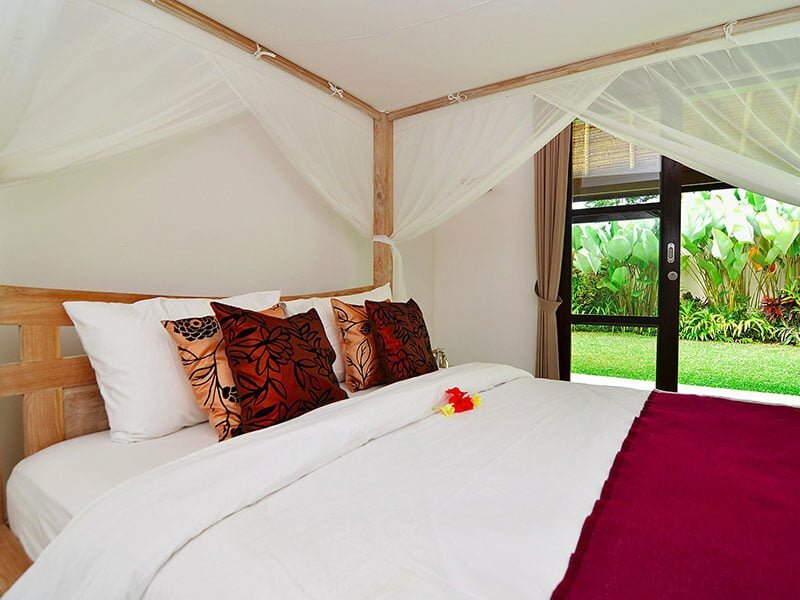 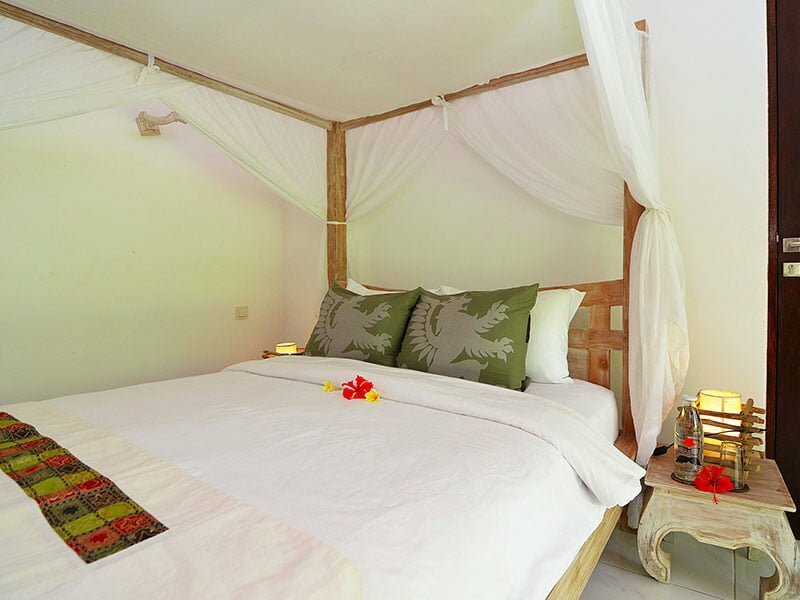 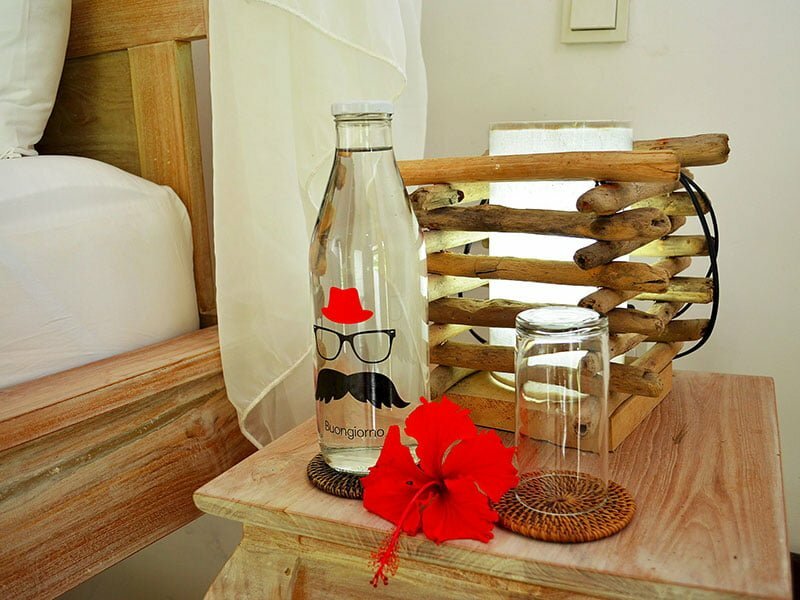 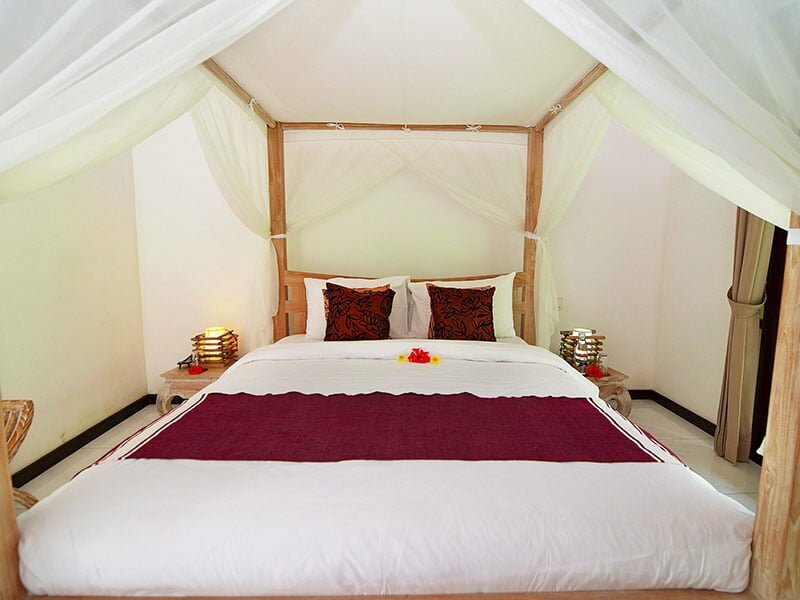 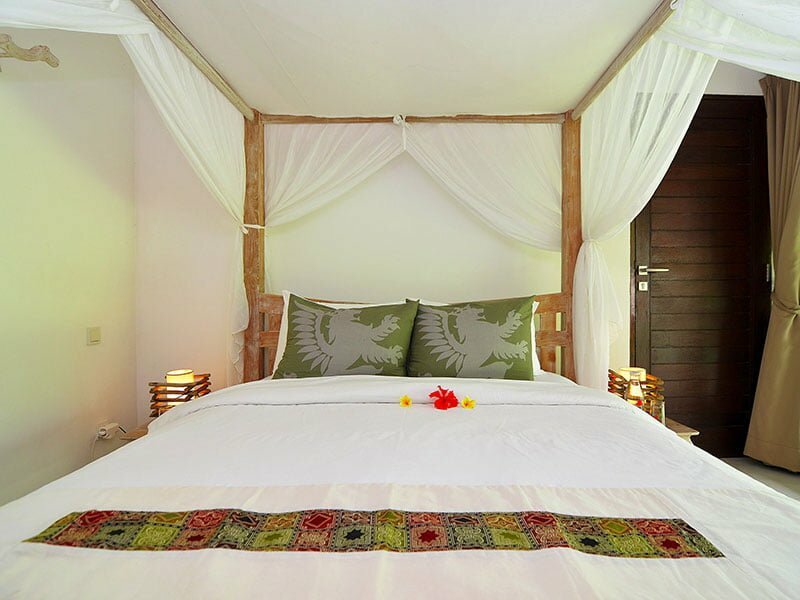 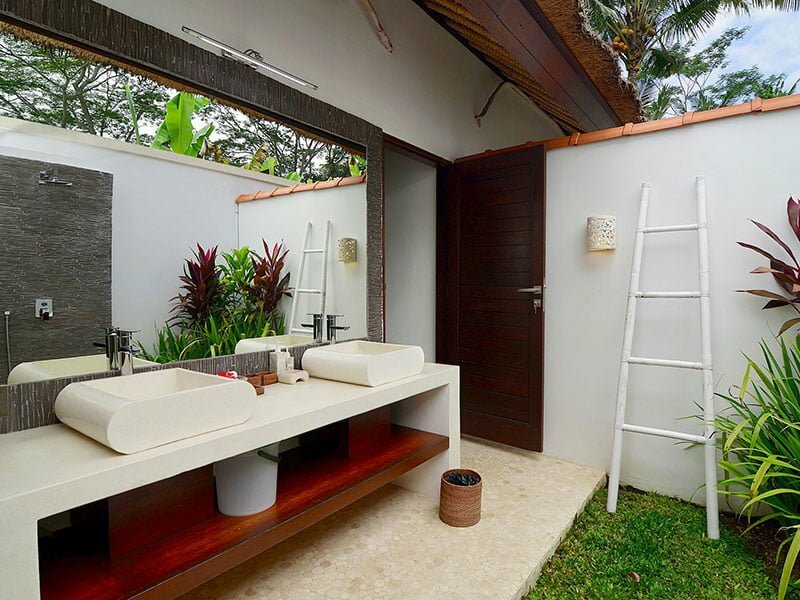 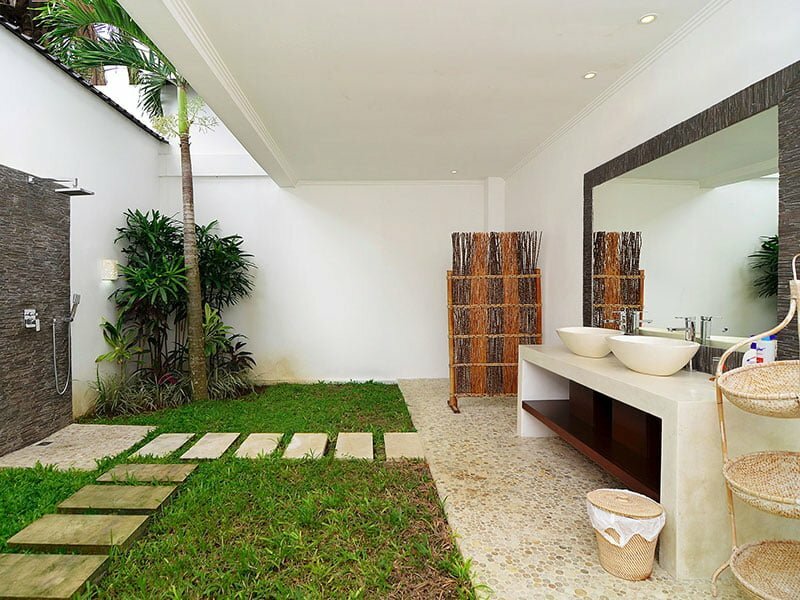 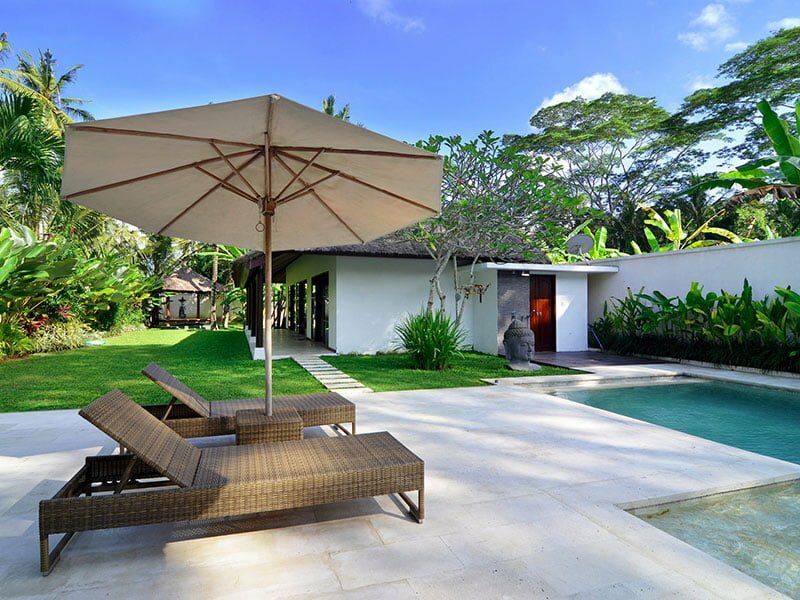 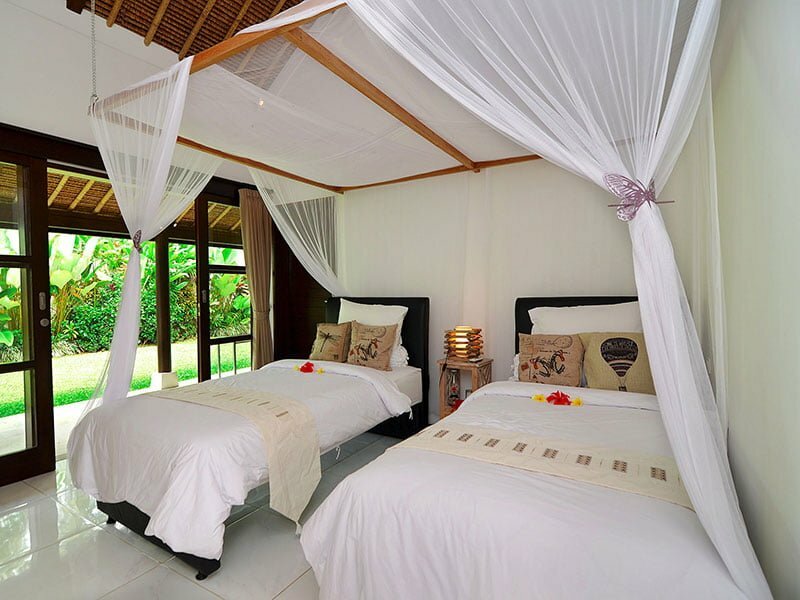 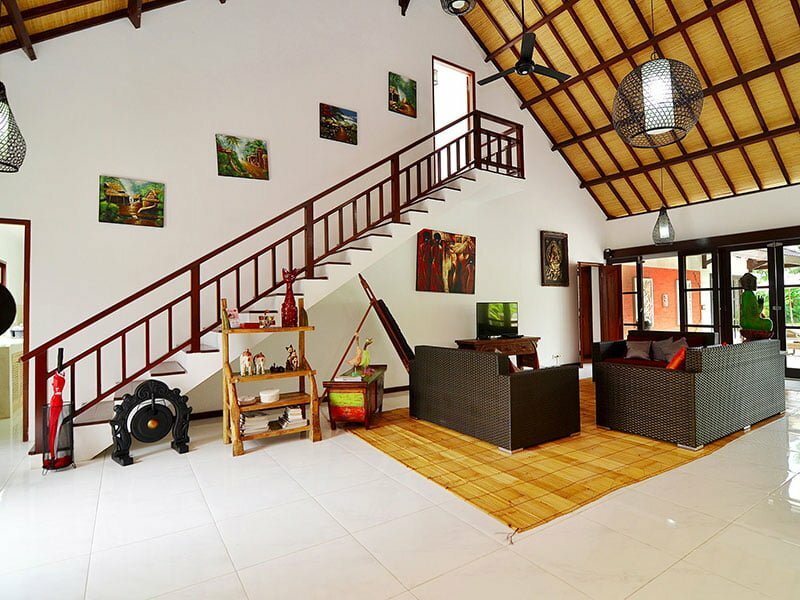 Villa Candi Kecil nestles four bedrooms comprising four-poster beds as well as air-conditioning in each of the suites. 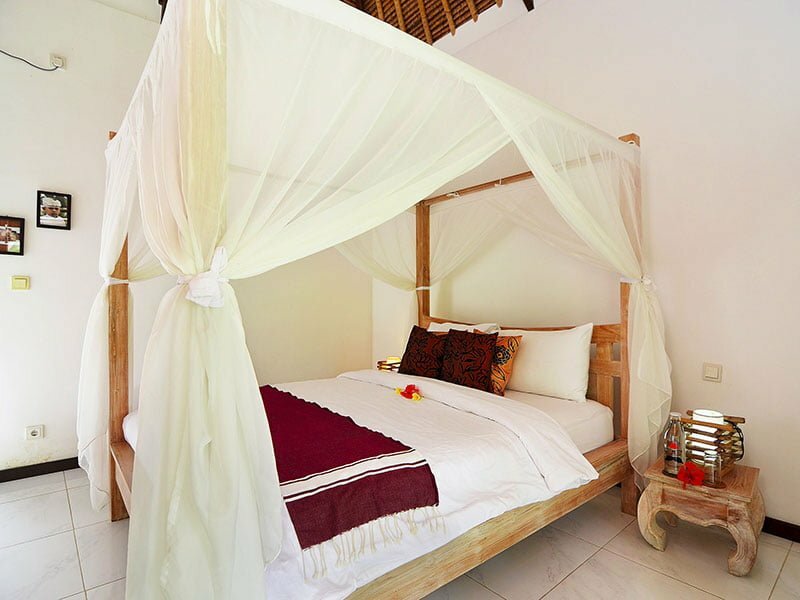 While here, you are spoilt for options between a queen-sized, king-sized, as well as double-beds each enclosed with natural white chiffon fabrics. 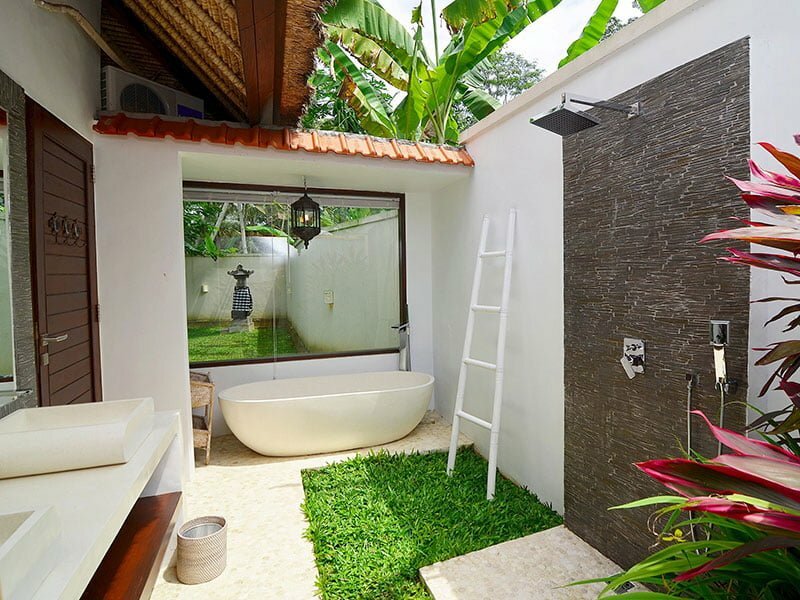 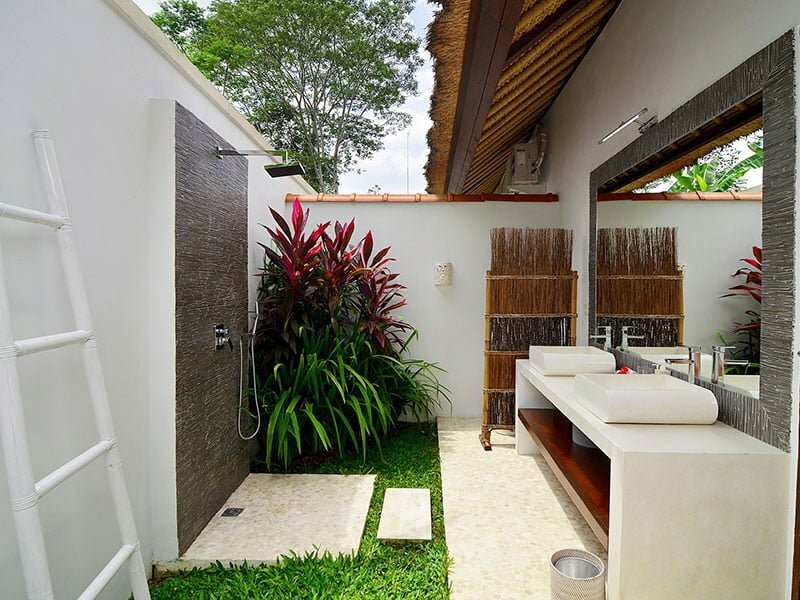 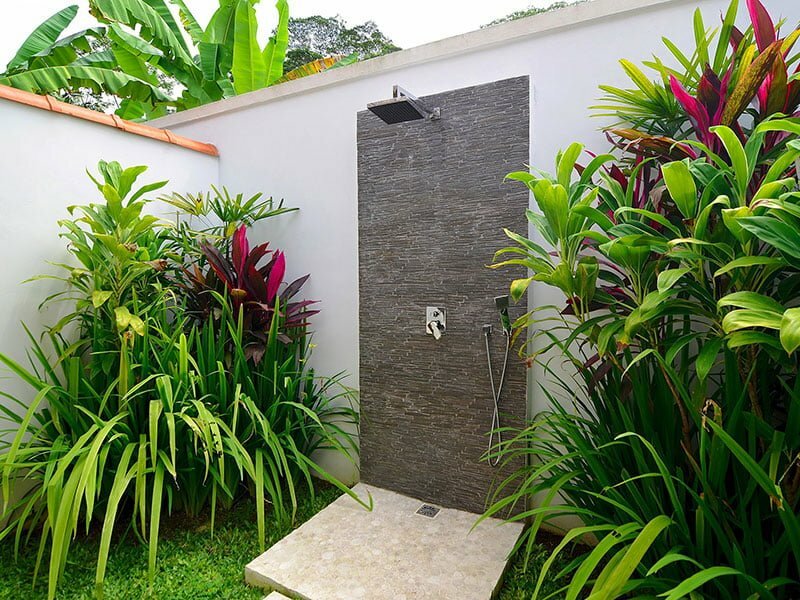 Additionally, the villa includes outdoor en-suite bathrooms which accommodate a sunken bathtub, rain shower facilities, a full twin-vanity set, as well as a cozy garden. 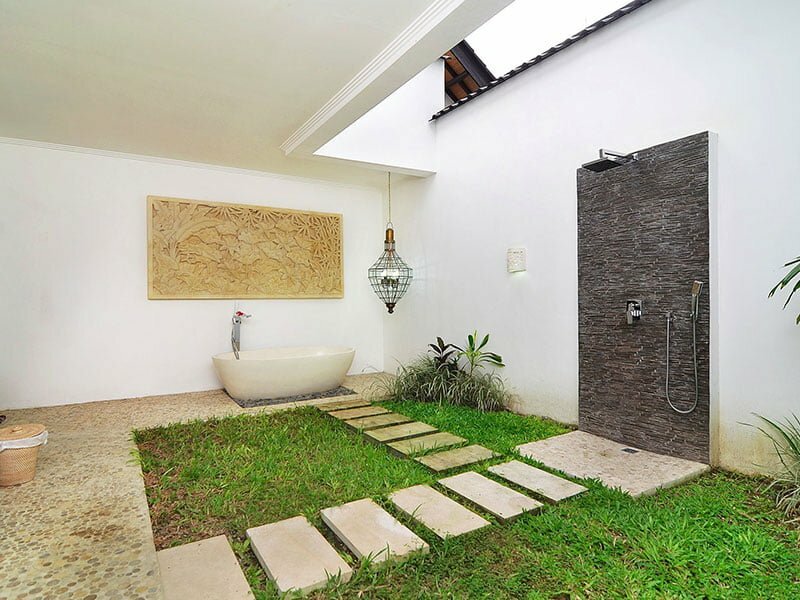 In particular, you will particularly love the ultra-proximity of the master en-suite to the crystalline swimming pool. 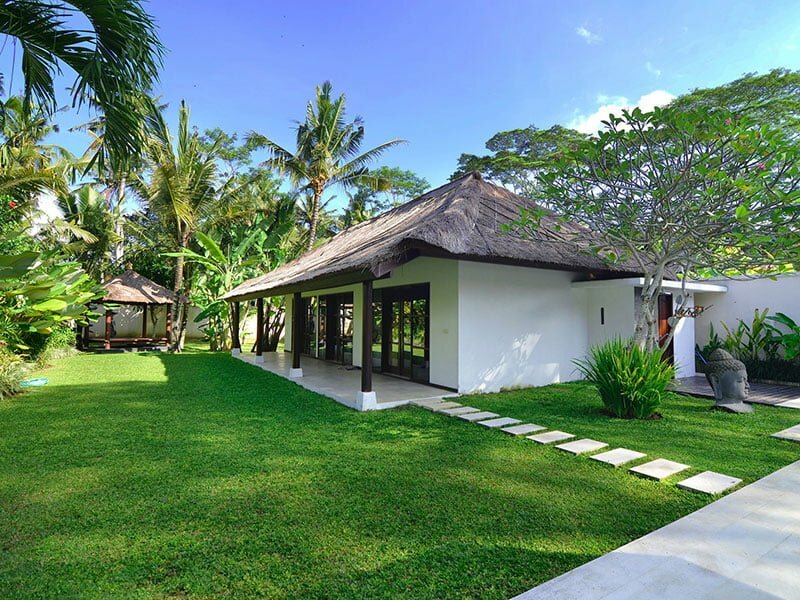 In addition, the villa comprises three junior suites situated separate from the villa’s main pavilion, with two featuring connecting doors. 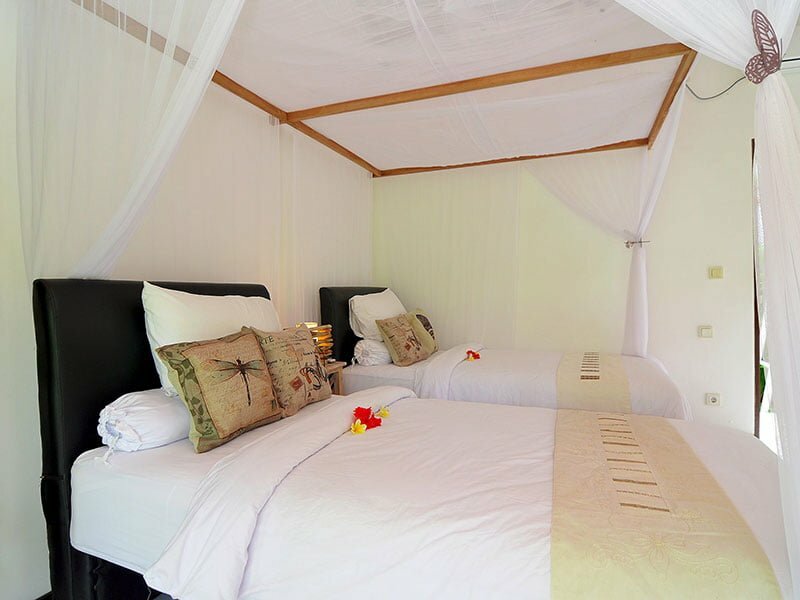 Additionally, you can snug in your room and enjoy a fantastic movie time courtesy of the satellite TV installed in each of these rooms. 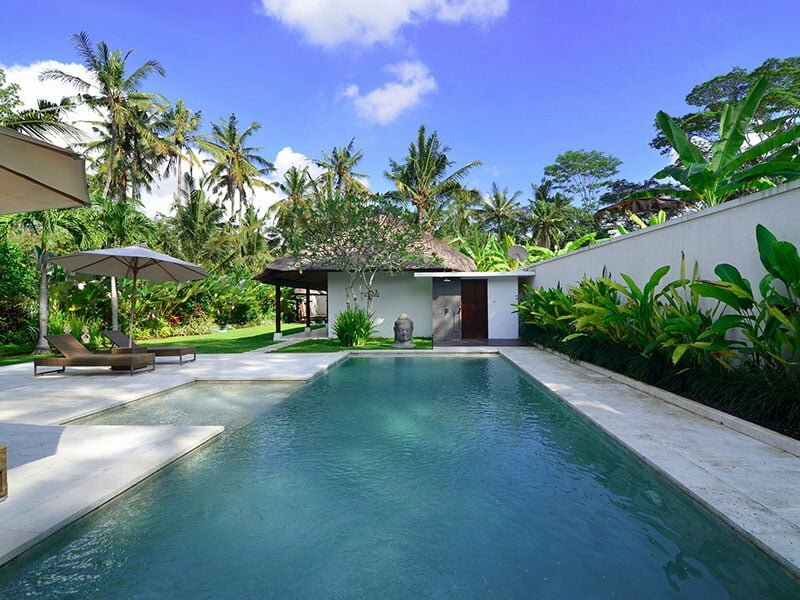 One of the main attractions of the Villa Candi Kecil, Ubud is its crystalline 12-meter pool which is surrounded by crispy limestone pavements and tall palm trees. 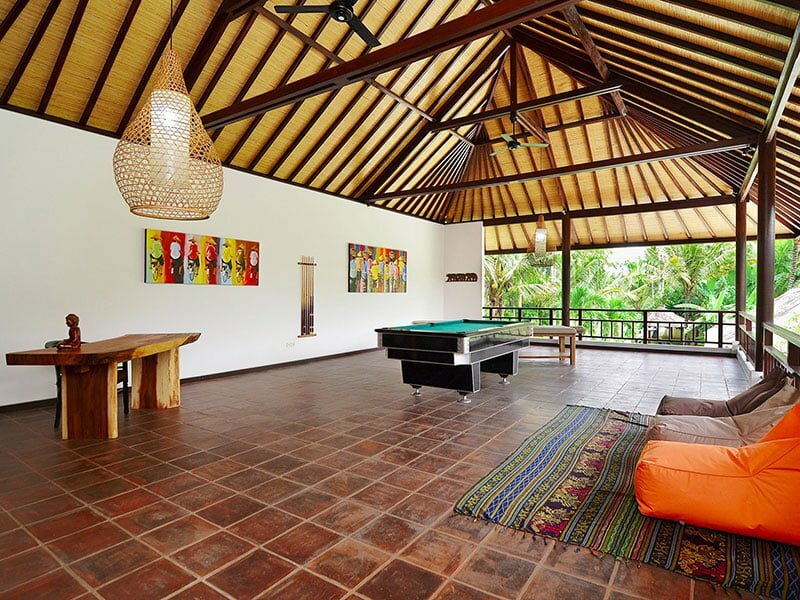 The pool area also includes woven sun-loungers (4) just underneath the poolside umbrellas. 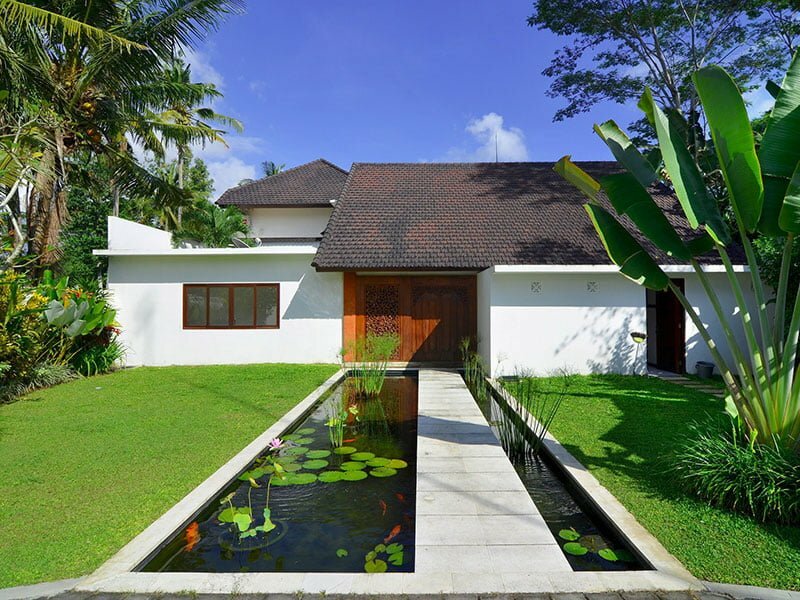 What’s more, snuggled in its outdoor seating section are matching taupe furnishings, as well as a 6-seater traditionally-woven table. 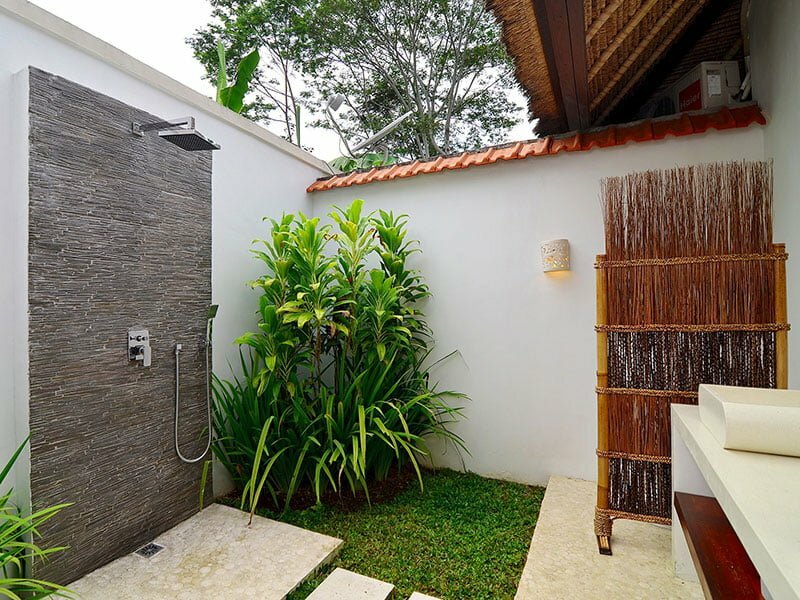 With such a setting, you will take pleasure in an afternoon relaxation spree as you nourish the golden Bali sunshine in an otherwise tranquil and welcoming outdoor area. 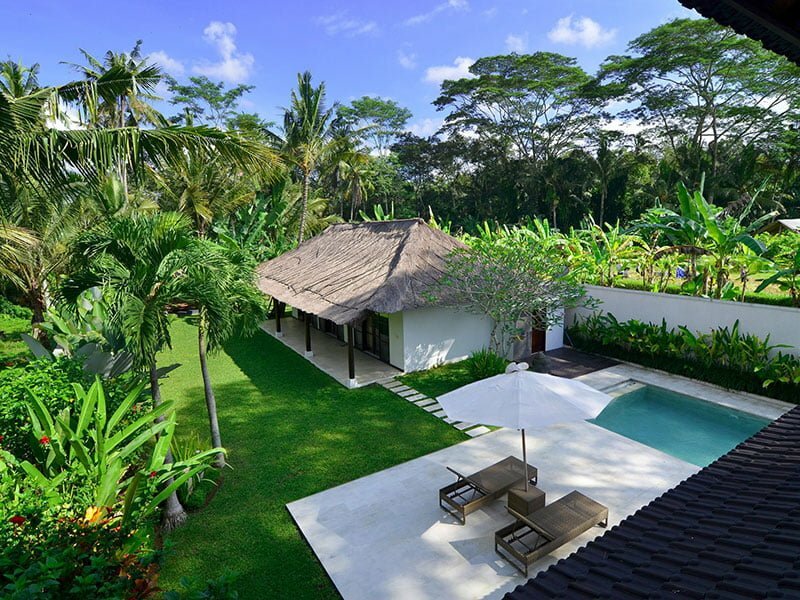 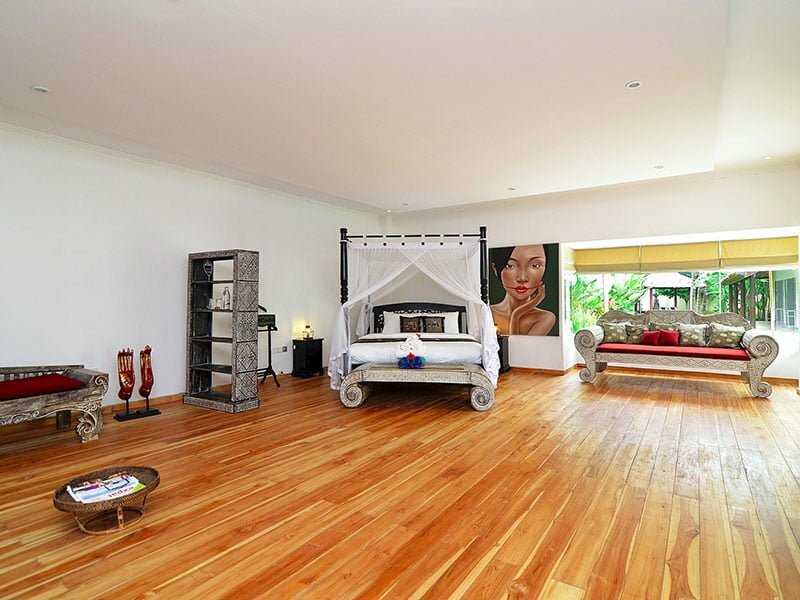 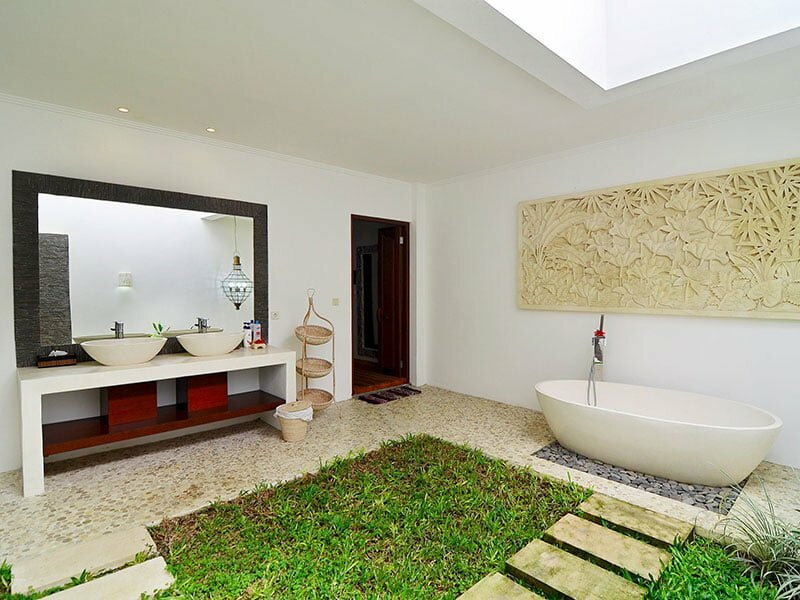 Finally, besides the stunning amenities, the full-set of help makes the Villa Candi Kecil an exceptional villa choice in Ubud. 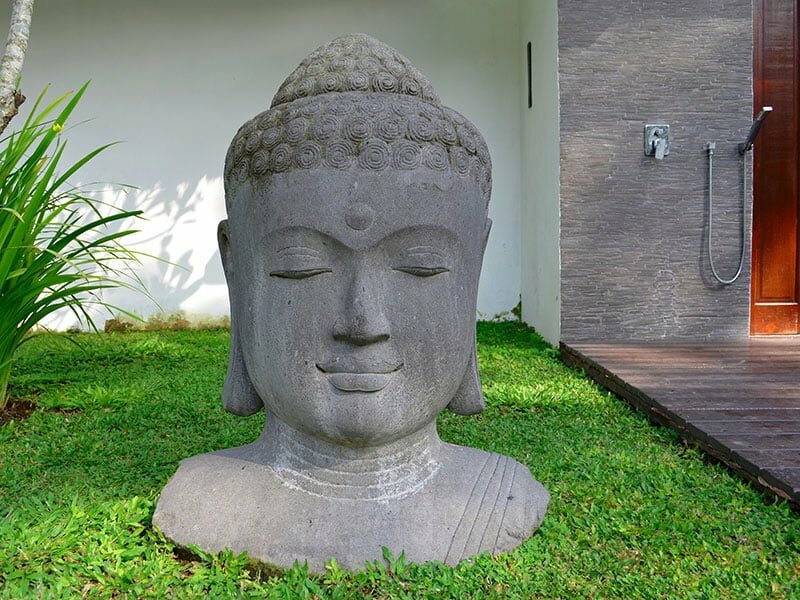 Your stay here will see you benefit from housekeeping, pool attendants, personal drivers, villa security, and gardener services at your beck and call! 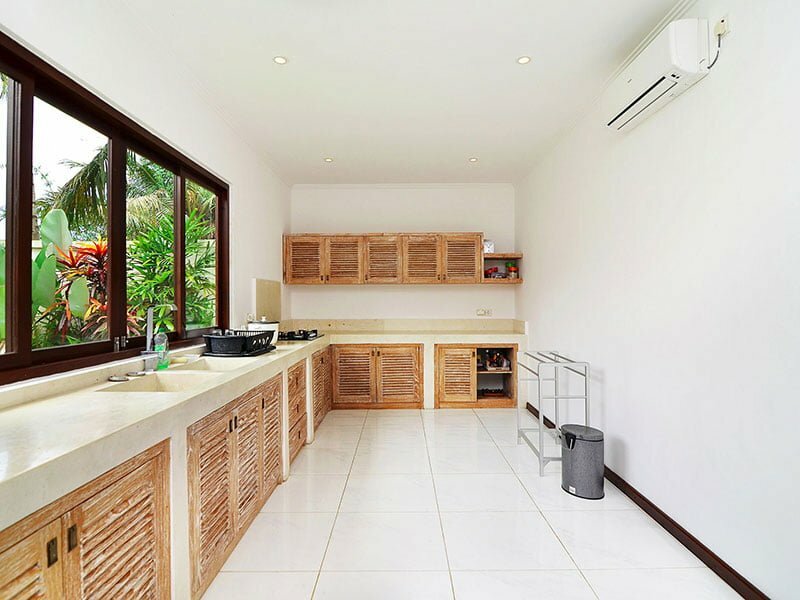 What’s more, at just an extra small fee, you can effectively also further enjoy babysitting, laundry, massage, bicycle, as well as airport pick-up services at your convenience.